This article was last updated on the May 5, 2018. Extensions are X and Pro specific plugins available for download for all customers with a validated purchase of X and Pro. You can easily download and manage all of your Extensions directly from the WordPress admin area under X or Pro depending on the theme installed. This article covers documentation for the White Label Extension and goes into detail on certain features where needed. After installing and activating White Label, you'll find its settings page underneath the X or Pro menu. White Label allows you brand different areas of your WordPress admin including the login screen, perfect for adding custom messages and logos to hand over to clients. Or to give your own website that more professional look without having WordPress branding. 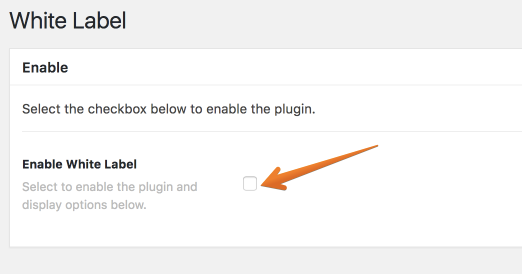 White Label has a range of different settings that are covered below. Login Image - Allows you to define a custom login image for your WordPress page, which will replace the standard WordPress logo with an image of your choice. Retina Support for the logo - Enable retina support for the custom login image logo, the size will be divided by 2 for non-retina devices. Login Background Image - Allows you to define a custom background image for your WordPress login page (wp-login.php). Add-ons Home Heading - Allows you to set a custom heading for the addons section. Add-ons Home Content - Enter custom text that will appear on the Add-ons home page (no HTML allowed). Add-ons Home Output Position - Select where you want the custom addons content to output, either at the start of the page or the end of the page. Once you've set everything as you want to click on Update to save your settings. You can then log out of your website and visit your WordPress login page to see the new login logo and when logged on click on X > Validation or Pro > Validation to see your new home content. Congrats you've now successfully setup White Label!